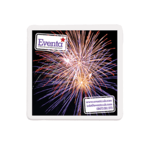 Promotional coasters are a great way to promote your company or organisation. 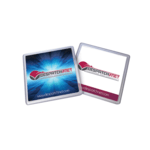 Coasters have large print areas making them ideal desktop advertising platforms for whatever marketing message you want to convey. 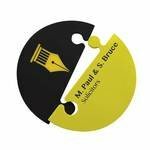 Simple branding can include your company logo and contact details such as a website or a specific marketing campaign message and promotion. Coasters like these can also be used as giveaways and at events, exhibitions and conferences to reinforce a brand’s presence at the event. 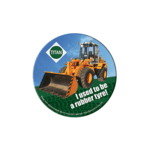 We have an extensive range of coasters and can supply samples for evaluation as well as plain stock and eco-friendly coasters made from recycled materials. If you cannot find the exact coaster you want please let us know and our sourcing team will see what is available through our extensive supply chain. 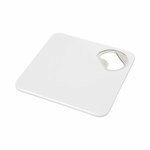 The whole purpose of a drinks coaster is to protect a table or desktop from the heat and potentially the wet side of a mug, cup or drinks glass. The earliest use of coasters can be traced back to the mid 1700’s where coasters were used to protect table tops from spillages from wine bottles and decanters. The term derives from the word ‘coasted’ meaning to slide as the coaster also allowed the bottle or decanter to be easily passed around a table without the need for servants. In their earliest form drinks coasters were usually a shallow disk or tray made from silver, wood or papier-mache. 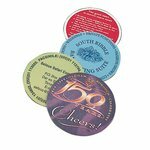 Drinks coasters evolved into a wide range of the products that we know today. At the high end are crystal coasters made from lead crystal and often associated with fine dining and restaurants. These are the most expensive types of coasters available. Glass coasters are another variant that provide similar protective and ornate properties but at a lower coast. Glass coasters can be see through or used coloured glass or materials within the glass to provide a decorative feature. Coasters can almost always be found in pubs, wine bars and restaurants and this association can be traced back to the 1800s when the first cardboard coasters were made by a German printing company Beer mats usage in the UK dates back to the 1920s where they were commonly used to advertise and promote pale ales in public houses. 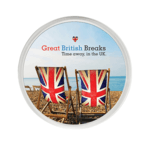 As with some of the earliest coaster examples, some beer mats are now collectibles and collections can focus on particular brand or series of advertisements and promotions. As manufacturing and production technologies evolved it became possible to make coasters from a wider range of materials including plastics. 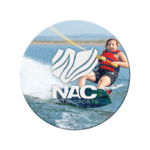 Today you can order hard or soft plastic coasters, round or square and even novelty shaped. There are also environmentally friendly versions made from either recycled tyres or reclaimed plastics and even bamboo and organically and sustainably farmed woods. 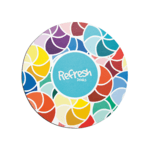 So today, we have a wide range of branded coasters available but they all perform the same two functions. 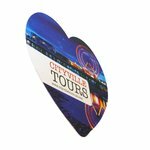 Firstly to protect a table top and act in the same way as a saucer and secondly to provide a decorative or promotional advertising function. 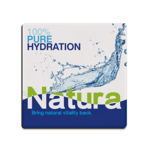 Logo coasters are one of the most popular giveaways for marketing campaigns. 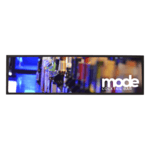 They ensure your brand is always on display and noticed. 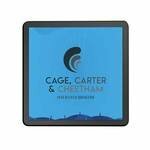 If you want a high-end personalised coaster then the best material is a crystal engraved type but there are also lower cost glass coasters and smaller minimum quantities available with plastic or cardboard coasters. Whilst any form of coaster should provide protection from either cold or hot liquids and glasses, mugs, cups or bottles placed upon them, care should be taken to make sure the materials are suitable. Some thinner plastic coaters can buckle when exposed to the extreme heat that can radiate from a very hot coffee mug for example. 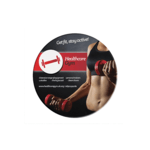 We are always available to supply sample coasters and guide you on the right type for your promotional campaign. Aside from choosing which material you want your printed coaster to be made from there are other choices to consider. The first of these is whether to go round or square or some form of novelty shape. We always recommend a round or square shape as it is easy for a mug or glass to sit firmly on the overall coaster and therefore these types are safe. No one wants to see a mug or glass accidentally spilt because they weren’t on a flat surface. 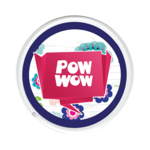 In terms of printing, you can for any mix of colours with some coasters available with a full CMYK or digital imprint. 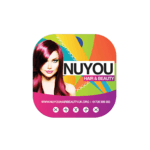 The background colour can also be colour matched for some products. Most of our coasters are held in a UK stock and can be delivered relatively quickly with some coasters available on an express delivery. Please check with our team if you have a very tight deadline and remember that all delivery times are quoted from artwork sign off. Can you supply eco-friendly coasters? 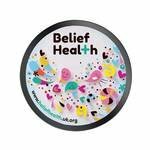 Environmentally friendly coasters tend to be made from recycled plastics and are available from our Eco range of products. An eco-friendly plastic coaster will last as long as a normal plastic coaster and take an imprint as well. The cost for a recycled eco-friendly coaster will be comparative to a typical plastic coaster. Do you offer heat resistant coasters? Mugs and cups with a hot water inside will radiate heat through their base into the coaster. Some of less rigid coasters may not be suitable for very hot items. More rigid plastics and rubber materials tend to be more tolerant. Please check the specifications for each product or contact us if you specifically want a high-heat resistance coaster. How long will coasters last? Glass coasters may be the most hardwearing coaster available because they can take very hot mugs and cups. Remember that coasters made from rubber and plastics may be less tolerant of heat. 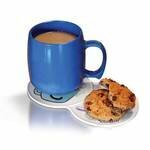 A good plastic coaster should last for years and only need the occasional clean which can be done with damp cloth.